I already discussed how to use HeidiSQL with a remote server in a former post. I now switched to use a local Vagrant VM instead of a remote VM. Of course I still wanted to use my beloved HeidiSQL. And it is – again – very easy! 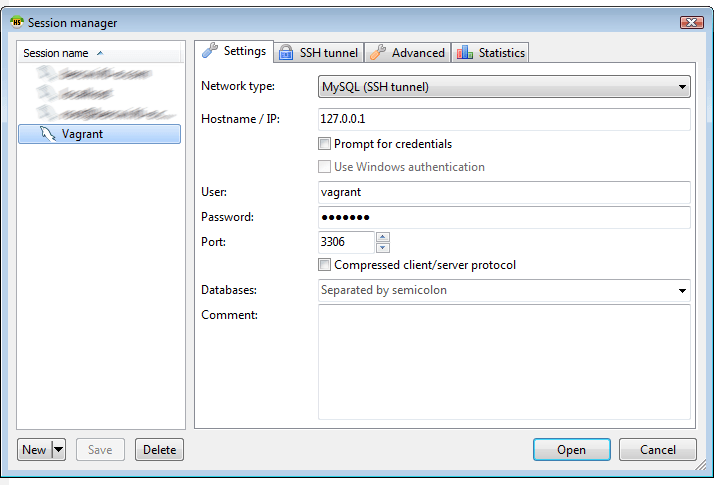 On the above page, you need to use the MySQL Username and Password. 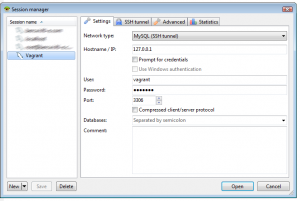 On the “SSH tunnel” tab we have to use the Username and Password for the SSH connection. I use a Private Key instead of a password, so I leave the password empty and specify the Private key file instead. My box is configured to use SSH port 2222 instead of the default port 22. This will most likely differ on other boxes, so it is worth to check this first if the connection is not possible.